Having most recently lost a controversial split decision to UFC Welterweight Champion Georges St-Pierre, Johny Hendricks shared his thoughts with Inside MMA on the champ’s post-fight comments regarding retirement and his personal problems. At the UFC 167 post-fight press conference, GSP said his personal problems were so bad they were driving him crazy and giving him sleepless nights. According to Hendricks, everybody has personal problems. “Dude I’ve got three kids. You know what I’m saying? Talk about sleep? Are you kidding me?” Hendricks said while laughing. The former OSU wrestler appeared to have little to no sympathy for his former opponent. Since UFC 167, Hendricks has repeatedly stated that he was the real winner of the fight, and he also wants a rematch against the champ. Apparently, he’s not the only one who feels that way. UFC President Dana White said he thinks that Hendricks won the fight as well and has vowed to set up a rematch between the two as soon as possible. For Hendricks, the sooner the rematch, the better. 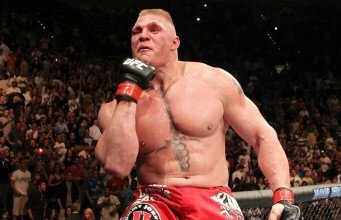 As of yet, the UFC has not made any official announcements regarding if or when a rematch will take place.